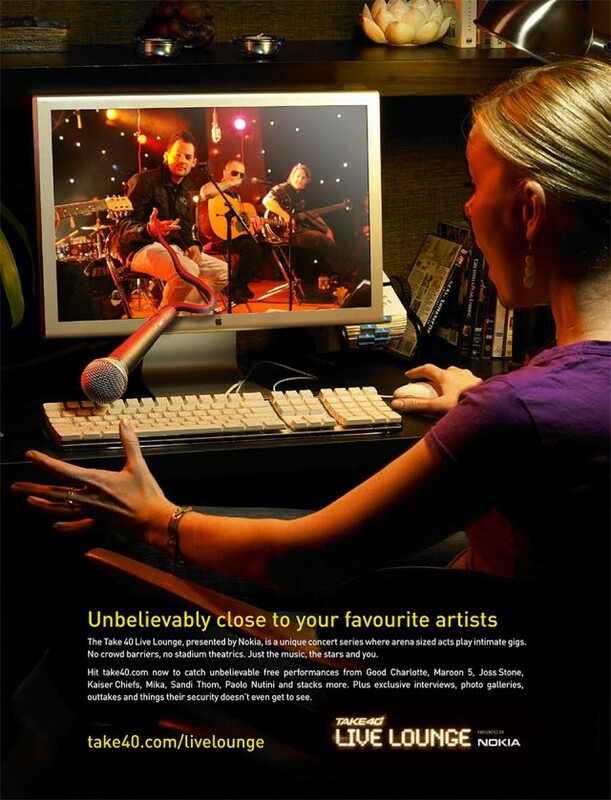 We created a quirky magazine campaign to promote intimate music concerts streamed live to your computer. The campaign idea was “Get Close To Your Favourite Artists”. Each execution showcase a member of the 18 – 25 year old target audience at home watching the live stream. We dramatised the intimacy of each moment by having band pieces extending or falling out of the monitor. This included various executions including a microphone falling out, the edge of a guitar creeping out and a drumstick flying out.